Food Allergy or Intolerance to Soy , and How to Substitute on a Gluten Free Diet. Having a food allergy or intolerance to soy is not uncommon for those of us on a gluten free diet. Finding soy substitutes on the gluten free diet can be quite a challenge. Soy seems to be just as ubiquitous in prepared foods as gluten. For those of us who are also dairy and soy intolerant, it narrows the choices down tremendously. Margarine and cheese, in particular, seem to be soy based if you are avoiding casein. Soy oil is not considered to be allergenic, as the manufacturing process removes most of the soy protein. However for some people, myself included, soy oil still causes a reaction. Having a food allergy or intolerance to soy as well as gluten and casein can make salad dressings hard to find. 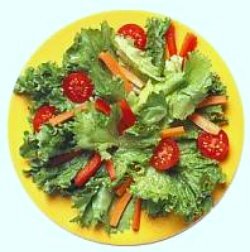 Salad dressings that are gluten free are mainly soy oil based. I have found only two that I can tolerate. I am going to list the substitutes or brands that I have found which are gluten, casein and soy free below. I hope this will help those of you having a hard time finding anything free of all three of these allergens. They ship nationwide, with a cooler bag or box, at a fairly reasonable charge. The other cheese is by Dr. Cow. It is an aged cheese made of nuts. I am proud to be affiliated with Vegan Essentials. This means that if you make a purchase from them through the above link, I will receive a small commission that will help to support this website. If you like this site, and find it helpful, please consider using my links above to make your purchases. The cost to you is the same as going directly to their site. While I have found other rice cheeses in various stores, most contain tapioca, yeast or other allergens I cannot eat. These brands are free of those as well as soy. I have been using both flavors of the Galaxy Rice Cheese. The American is okay, a little mild in flavor though. Which makes it usable for pizza! (I haven't tried that yet.) The cheddar has a little bit stronger, deeper flavor. When melted they are smooth. They would be very nice on a cheeseburger too. Both are fine even without melting, although I think the texture is better when they are melted. Not quite like actual cheese, but okay. My husband prefers the cheddar flavor, and agrees they are better melted. While they are not gritty, like some of the nut cheese I have made, you can tell they are from rice. NOTE: I have now made pizza using the American flavored rice cheese above and it was wonderful! I have also tried the Aged Cashew Dr.Cow Nut Cheese. It is delectably creamy, tangy, and flavorful. I'm looking forward to trying some of the other aged cheese flavors. Note: They also carry Daiya cheese, which is considered the best alternative cheese out there. It is soy free, but it does contain yeast and tapioca. You can reach it by going through the cheese alternatives, it is on the first page. I can't have yeast or tapioca so I'm not able to try it. It is gluten, dairy, soy, and nut free. Shortening like Crisco, available in most stores, is soy based. Lard is an alternative for some uses. For baking cookies or making margarine however, there is a better alternative. Spectrum shortening is made from palm oil. It is solid at room temperature. You can find it at most health food stores, farmer's markets, Whole Foods, Wild Oats, some grocery stores with a health food section, and online. If you don't mind the flavor, coconut oil is also a good substitute. You can find it at Wal-Mart. The only mainstream margarine I have found that is casein and soy free is Fleischmann's Light in the tub. It does say "Contains Soy" on the package. I spoke with their customer service department and they told me it is not an added ingredient. It is produced on the same line as the other margarines that do contain soy. Although the lines are cleaned in between, the company wants people to know that there is a very slight chance of cross contamination with soy. It can be hard to find, especially in the West. If you cannot find it in your local Fry's/Meyer's/ Kroger, then try talking to the manager and asking them to special order it for you. You will need the barcode number(UPC number) in order for them to order it. The number is :Fleishmann's Light: 2900000854. Another possibility is during the passover season, Kosher markets often carry a brand called Migdal. This brand of margarine is made soy free only during passover. If you can find some in a Kosher market, buy it and freeze it for later. The margarine has been hard to find the last two years though, as not enough is being made for those who normally use it. The other alternative is to make your own margarine. I have done this when necessary, but it really is not the same. It is harder to use as a spread. It is better than nothing though. If you only use it for cooking, baking or on a baked potato, it is fine. I am working on a more spreadable version, and will list it in the recipe section when I get it right. You will need a bottle of McCormick Imitation Butter Flavoring to make your own. NOTE: Earth Balance brand has now come out with a spread that is Gluten Free, Dairy Free and SOY Free, Yeah! You can find it at Whole Foods, Sprouts and other markets that carry health foods! Walmart here also carries it now. For a long time I have been using Wal-Mart's Maggi brand beef bouillon. It has recently become impossible to get in my area. If you can find it in your area, it will be very useful for making soups and your own soy sauce. The other brand I have found that is gluten, casein and soy free is Celifibr. They make a soy free beef, chicken, and vegetarian vegetable medley. I do use Celifibr bouillon myself for certain recipes and it tastes great. So I do not hesitate to recommend it. For Chicken bouillon you can use the Maggi brand from Wal-Mart, which is still available. Knorr is also soy free in the chicken flavor. Soy Sauce is something that is used extensivelyy in Oriental dishes. If you can't have soy, that makes it very difficult to have anything taste like it is supposed to. The recipe below will make cooking these dishes much tastier. Before you begin, find a 12-16 ounce jar. Wash it well with dishsoap and hot water. Put some water on to boil. When the water is boiling, pour it into the jar and the lid to sterilize them. Leave them at least 10 minutes, and then empty them and set on a clean towel until your soy sauce is ready. The recipe below will hold for at least two weeks, and must be refrigerated. In a small saucepan, combine all ingredients and stir well to blend. Bring this mixture to a boil, and then turn it down to a low simmer. Allow it to simmer until the volume has been reduced by about 1/2. Pour the sauce into a sterile jar, cover with lid, and refrigerate. Will hold at least two weeks. If you don't expect to use much at a time, then cut the recipe in half. I have found that you have some options on salad dressings if you make your own. You can make them soy free using canola, corn, or olive oil. Good Season's can be made this way. Wal-Mart carries a pre-made salad dressing that does not contain soy. It is their Fat Free Italian dressing, in the Great Value brand. Good Season's Italian Vinaigrette with Extra Virgin Olive Oil Dressing is gluten, casein, soy oil and soy free. While most mainstream mayonnaise is gluten free, it does contain a lot of soy. 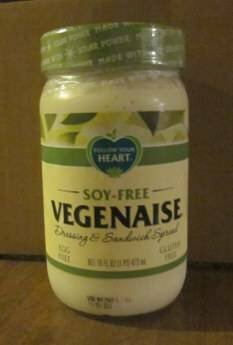 To avoid egg and most soy, I use the vegan version called Vegenaise. It does contain a small amount of soy protein. It is available at health food stores, farmer's markets, Whole Foods, Wild Oats,and some grocery stores with health food sections. It must be refrigerated, even while unopened. This is the version of mayonnaise I use to make the Ranch dressing in my recipe section. Also it makes potato salad, tuna salad etc. possible again. I can tolerate small amounts occasionally. You would have to try it and see if you get much of a reaction if you are soy intolerant. UPDATE: Vegenaise now has a Soy Free version, so you can avoid gluten, dairy, egg and soy! It's very good too! You will find it with the other versions of Vegenaise, just look for the green lid. Amazingly enough, most tuna has either casein or soy in it. I have found two brands that don't contain either. The first is Polar All Natural Chunk Light Tuna in water. I found it at Smart and Final. The other is StarKist Low Sodium Chunk Light Tuna in water. The Star Kist is more expensive, but easier to find. Walmart carries it. Chocolate chips for baking usually contain casein or soy. For making my candy or cookies, I use the Ghiradelli semi-sweet. They have no casein and only soy lecithin. The lecithin does not bother me. If you find it does cause a reaction for you, you will need to find some Enjoy Life brand, which is soy free. These are available in the health food stores or sections, Whole Foods, Wild Oats, farmer's markets, or online.